I hear from so many customers how they struggle to find simple, plain white cotton handkerchiefs. So we designed these lovely, simple, pure white cotton men’s handkerchief sets. 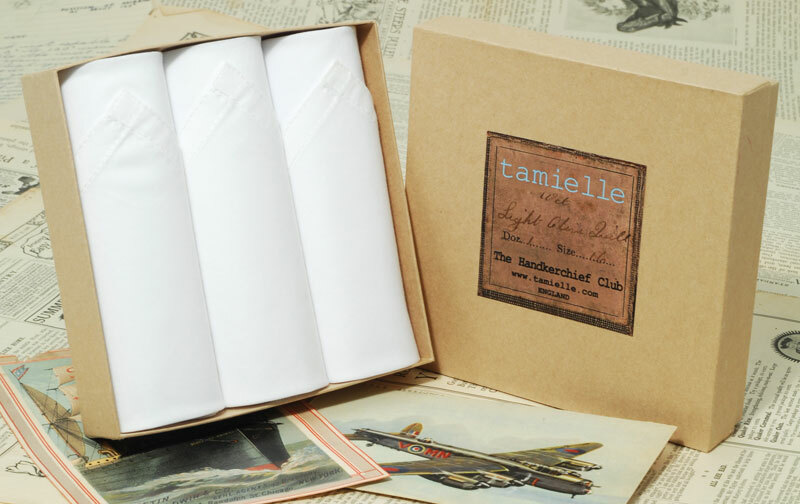 Our plain white men’s handkerchiefs comes packed in a handmade gift box. Nothing but 100% fine and soft cotton with no decorations. 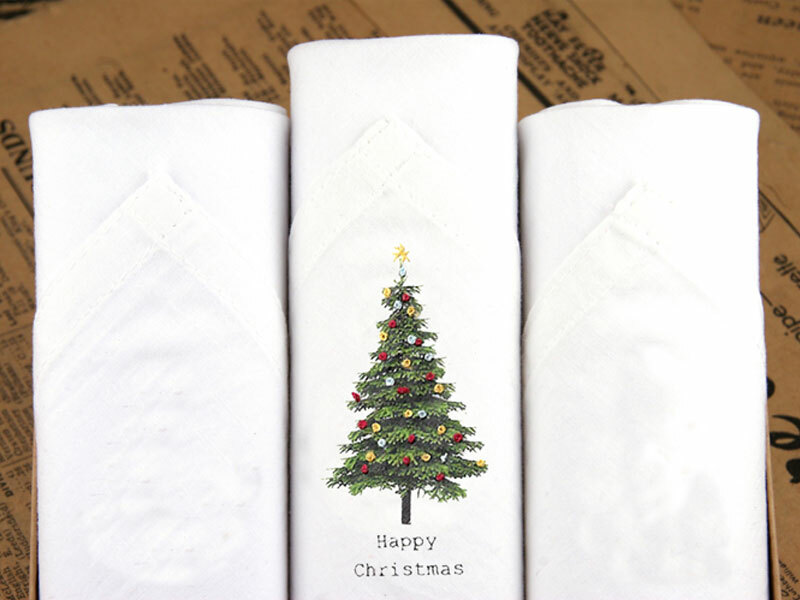 For those who would like to add a festive touch, we offer the same white cotton hankies set, with a Christmas handkerchief in the centre. A perfect gift for him this Christmas!